If you're in for a good laugh, be sure to catch Nunsense this Friday & Saturday (11th,12th March) or on the 18th & 19th March at the Goldfields Repertory Club. I was at the International Women's Day Celebration at the Boulder Town Hall yesterday and the "nuns" definitely got the whole floor laughing away by their little performance. Speaking of performances, Stage Left is up for another show next month. 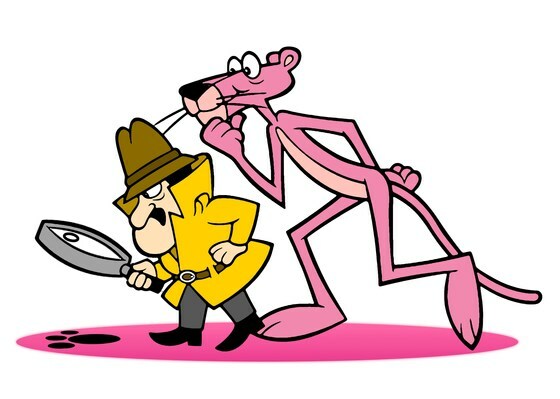 This time, they will be bringing Pink Panther and Inspector Clouseau on stage. The Pink Panther Strikes Again will be opening on Friday 8th April and will be happening throughout April. Tickets are available now, so grab them from their website! It seems like it's a busy month for Fossick as there's heaps of workshops happening at their gallery this month. This weekend, they've got the Create a 'Floral' Canvas and the Learn to Crochet workshop. Don't worry if you can't make it to this week's crochet workshop as there's two more sessions happening next week on the 19th & 20th March. We've also got activities for the kids, as Dylan Parker the world champion paper pilot will be showing his techniques of paper folding and throwing paper planes at the Kalgoorlie Town Hall on Monday, 14th March. If you're a small business owner or a non-profit organisation, be sure to sign up for a workshop by Lorraine Horsley from Word on a Wire Writing Services on Tuesday, 15th March as it will enable you to learn on ways to gain exposure through traditional media. REMEMBER that reservations to these workshops/activities are essential, so book a spot ASAP to avoid disappointment! And if you require more information on these events mentioned, feel free to contact me. Always so much to see and do in Kalgoorlie, so stay up to date through our website and Facebook! Fetish for Flavour "Official Launch"